This will be my final Saturday 9 post for this year. I hope you will have a wonderful Christmas and Happy New Year. Thank you Sam for bringing us together around music for this weekly post. 1) At the beginning of this recording, Daffy says he hopes all his friends remember his size, style and favorite color. What piece of clothing would you like to add to your wardrobe? 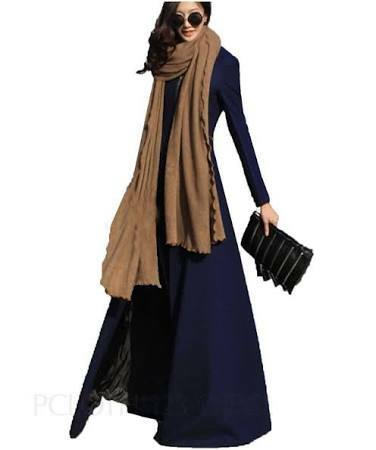 What woman would not love to have this black maxi length wool coat and look this glamorous in it! Of course, I would never wear it in the south but I can dream, can't I. 2) His friends are late for Daffy's holiday soiree. Think about the last get together you attended. Were you early, late or right on time? We try to always be either a bit early or right on time. I can't tolerate late. But, our last gathering was last night when we had friends over for dinner. I was right on time! 3) It hasn't a snowed a single flurry where Daffy is. Have you had to shovel yet? Hardly! We did have some flurries in late November, but I don't think you would find a single snow shovel in our state of Louisiana. Disappointingly, we aren't even expecting a white Christmas in Northern Indiana this year. 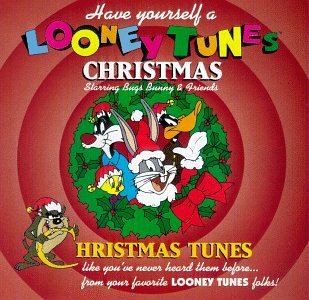 4) Daffy sings that he's looking forward to fruitcake. How about you? Are you a fruitcake fan? 5) Daffy is an American Black Duck. Their usual diet doesn't generally include fruitcake. These ducks more commonly dine on seeds, foliage and bugs. What was your most recent meal? 6) The only Christmas card Sam has received so far this year is from her insurance agent. She never sees her agent socially. In fact, she doesn't think she's seen him at all in 2018. Have you received many cards this year? If so, were they from people you feel close to? We have only received a few so far and this is very unusual for this time of the month. Folks just aren't sending out cards like they used to. Neither are we. My cards are from our daughter, a nephew, close friends, and a 1st cousin. 7) When do you start holiday shopping: Christmas Eve, Thanksgiving/Black Friday, Halloween? I don't do a lot of shopping, but if I see something during the year that I think would be appropriate for someone, I get it. Otherwise, I usually start thinking about it seriously in November. 8) Sam was recently driven crazy by kids running through store aisles wearing elf hats with bells. Do you have any apparel that makes noise? None other than the rustling sound of my winter rain coat. We correspond with each other monthly and I look so forward to getting her little letters with her childish colorful drawings and updates on her family and activities. I was able to buy her a pair of shoes for her birthday and also Christmas gifts through the organization. They provide education, food and community support for sponsored children and their families. 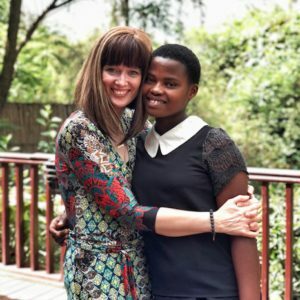 Ann Voskamp seen here with her sponsored child. There are so many needy children in that area that Africa New Life can help, with contributions and sponsorship from folks like us. I love the connection you feel to that Rwandan girl. Pecan pie muffins! That's ignited a culinary fantasy. Fun questions and fun answers!! A worthy charity to highlight! It makes me sad that people are not sending Christmas cards the way they used to. I think it is fun to get Christmas cards and send them as well. I love that you sponsor a child, that is so awesome! Loved your answers! Have a nice weekend. How sweet of you to sponsor that child. I used to get almost 100 Christmas cards. These days it's about 20. Sad. Pecan Pie Muffins sound like something my husband would like. I love that you are sponsoring a child. That is a great thing to do. 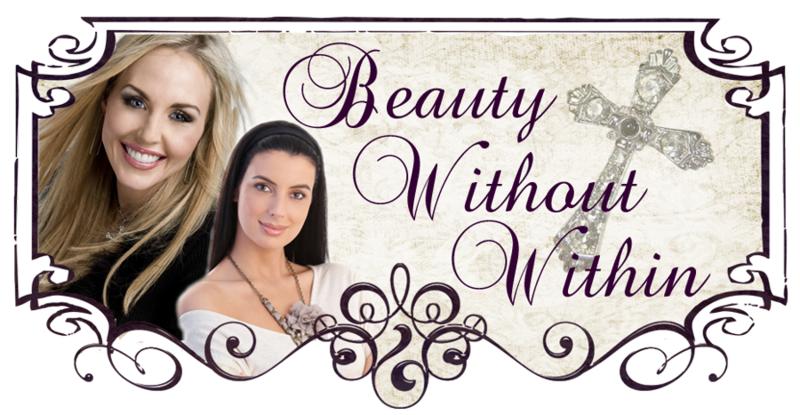 That's a great organization and I really like Ann Voskamp. I met her in person several years ago at a blogging conference and she is such a sweetheart and so warm and genuine. She gave away hundreds of signed copies of her book and she prayed individually for the recipient of each one as she signed it. Fun questions! We don’t receive as many Christmas cards as we once did. We support two brothers that live in an orphanage in Togo, W. Africa. We visited the orphanage in 2011 and fell in love with all the children. 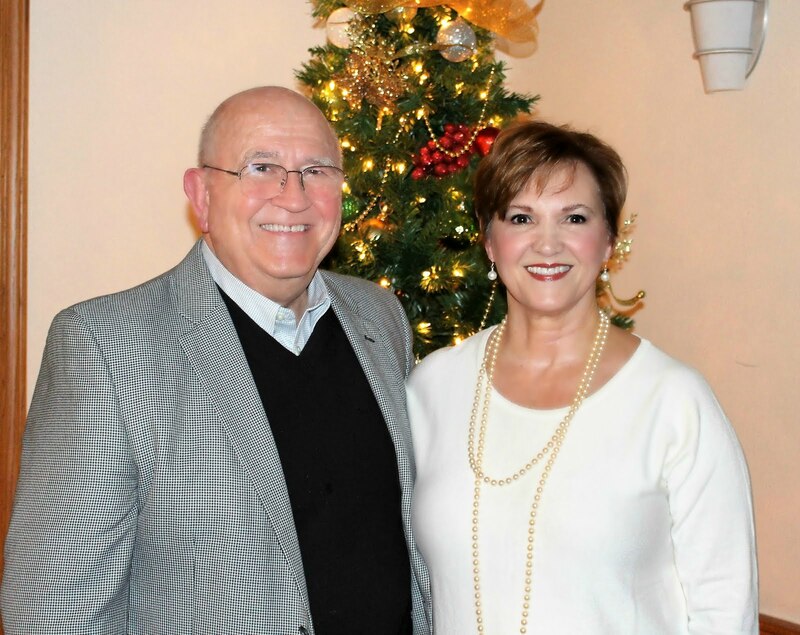 Wishing you and yours a very Merry Christmas! Breakfast for dinner, that sounds awesome! Safe travels to Indiana and back and enjoy John and family. 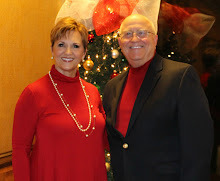 Christmas blessings! Hi, Elizabeth!Just wanted to thank you for reading over at my place and for sharing my words here in your lovely writing home. Blessings to you and Merry Christmas!